All Fired Up has a huge selection of pottery to paint. Our pottery prices range from $2-$60 with the average being $20-$25. No studio fees or any additional costs! The following are price ranges of JUST SOME of the pieces we have. 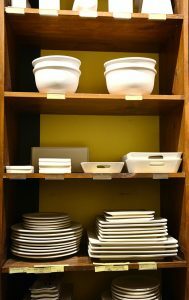 Our selection of pottery is the largest in all of Metropolitan DC. 1. Select a piece of pottery to paint. We have a design center and a huge display of the colors offered. We have a fabulous selection of kitchenware, household items, platters, and so much more. You can design your piece using any of our supplies, pour your own paints, and start painting away. Our design center has stamps, stencils, tape, q-tips, dollies, silkscreens and much much more. We have over 100 colors to choose from, a beautiful selection of underglazes, speckled, sparkly, puffy paints and designer liners. 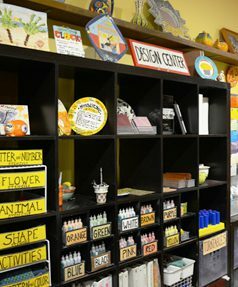 A staff person will walk you though the whole process; showing you the design center and paints and explain how to get started. You can apply your design to your pottery in several different ways. You can paint directly on the surface or sketch your design with a pen or pencil depending on which studio you paint at. All pen or pencil marks will burn off in the kiln and will not appear on the finished piece. Please consult our idea books, and try any of our stencils, stamps, sponges, or other techniques. Creative techniques may be demonstrated by any one of our staff members. If you’ve chosen to sketch your design first, the next step will be to apply the paint. All our paints are nontoxic and food-safe. And don’t worry if you make a mess! Paints will wash out of clothes, and we’ll take care of clean up for you! Since we over-glaze all your artwork, any blank spaces will be shiny and white. 3. We glaze and fire. 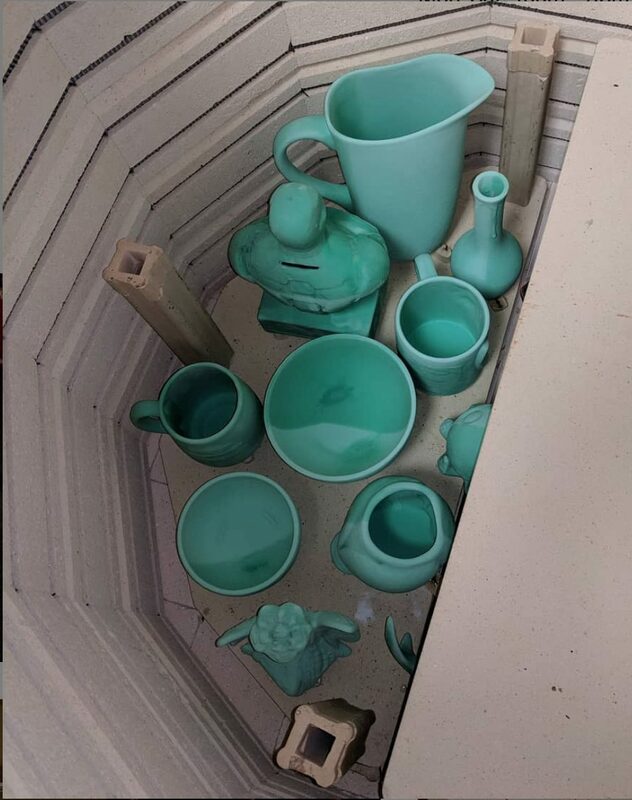 Once your finished, you leave the piece(s) on the table and we will take them to the backroom for glazing and firing. We do all the glazing and firing on premises. Once the piece has been fired, the glazes you applied will take on a new depth and luster. Your masterpiece will be ready in 7 days. Sometime we have to increase the pick up time to 9 days during extremely busy times of the year. Also, we guarantee that your piece will be ready in that time frame. A common questions is “will you call me when my piece is ready?” Actually, we are a very busy place so we don’t call. At checkout we give you a receipt with your pick up date. We will hold onto your completed piece(s) for 30 days from your scheduled pick up date. Rushing your pieces is possible for $5.00 per piece, but it also depends on our kiln schedule. Please ask a staff person prior to painting if rushing your pieces is possible.